Bell promoted “oralism” and sought to ban sign language, a stance largely criticized by the National Association of the Deaf. Most of us know Alexander Graham Bell as the inventor of the telephone, an invention that changed communications and our society as a whole. While we may imagine Bell tinkering in a workshop, a cloud of controversy surrounds him. Did he really invent the telephone or did he merely get all the credit for it? And why did the deaf community take issue with his stance on deaf education? Who Invented the So-Called “Talking Telegraph”? 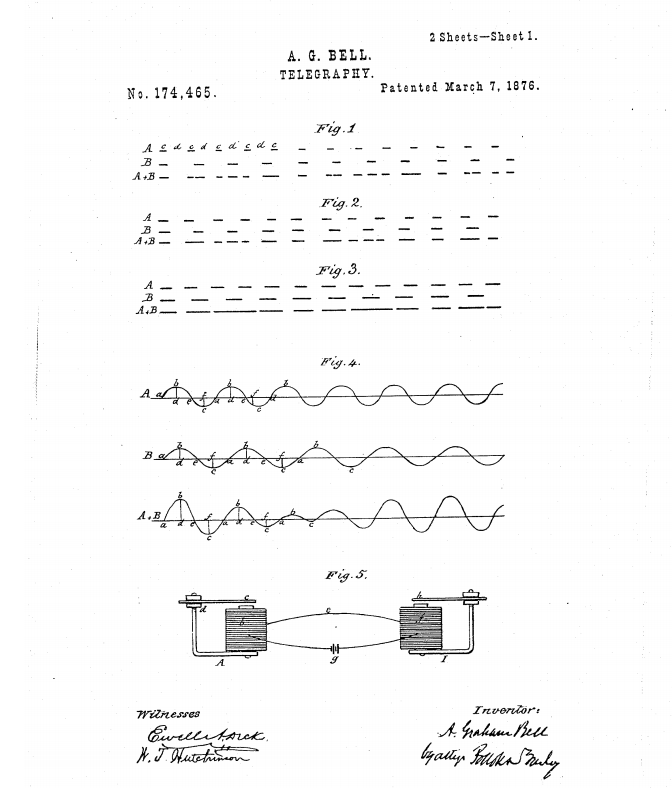 Alexander Graham Bell was awarded patent number 174,465 for his invention. But was it the first? Not really. Though Bell is largely credited with inventing the telephone, historians point to two other notable inventors whose inventions came first. 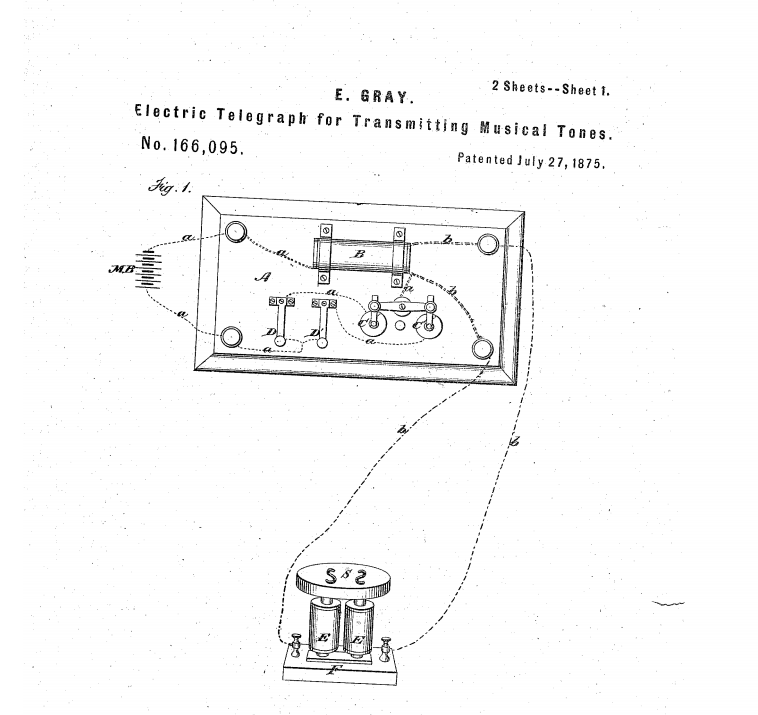 In the United States, Elisha Gray, an inventor from Chicago who had already been awarded a patent for an “Electric Telegraph for Transmitting Musical Tones” immediately filed a “caveat” on the day that Bell filed for his patent. This caveat announced Gray’s intentions to file a claim for his own patent for the same invention. Bell’s telephone was actually based on technologies developed by Gray previously. A legal battle ensued, with Bell ultimately being awarded the patent. A decade later, The Washington Post published a story on May 22, 1886, about a former Washington patent examiner, Zenas F. Wilber, who swore that one of Bell’s attorneys had bribed him $100 to award the telephone patent to Bell instead of his rival, Gray. Bell, of course, denied bribing the patent examiner. The Post called it “a most amazing story,” — and there’s even more to the story, including allegations that Bell had illegally been given access to Gray’s original patent drawings. To further cloud the issue, an Italian inventor, Antonio Meucci, created and filed a caveat for a “Sound Telegraph” invention five years before Bell and Gray. Meucci’s working models, which were stored at a Western Union affiliate laboratory, were lost. Bell also conducted experiments at the same lab. While other inventors of his era were working on similar projects, Bell’s case was litigated and he was ultimately awarded the patent. In addition to his work on the telephone, Alexander Graham Bell was passionate about the deaf community. His own mother was deaf, and his father had invented a universal alphabet for the deaf called “visible speech.” Bell taught speech to deaf students as well as founded a school to train other teachers of deaf students. All admirable work; however, as with the invention of the telephone, there’s more to the story. Bell was a eugenicist. According to the dictionary, eugenics is “the science of improving a human population by controlled breeding to increase the occurrence of desirable heritable characteristics.“ According to an article on PBS.org, Bell feared the creation of a deaf race, something that he felt was happening as deaf people formed clubs, socialized, and intermarried. His solution wasn’t to ban marriage between deaf people, but rather to remove the causes that promoted intermarriage such as sign language, residential schools, and deaf teachers. Bell won one battle. He is widely credited as the inventor of the telephone. But he lost the other. Today in the United States, American Sign Language is estimated to be used by between 500,000 and two million people. Meanwhile, modern telecommunications based on early inventions, such as the telephone, now help the deaf community communicate with hearing and deaf people like never before. Though Bell was a controversial inventor, the telephone and deaf education have both changed our world for good. “Patent Images.” 2017a. 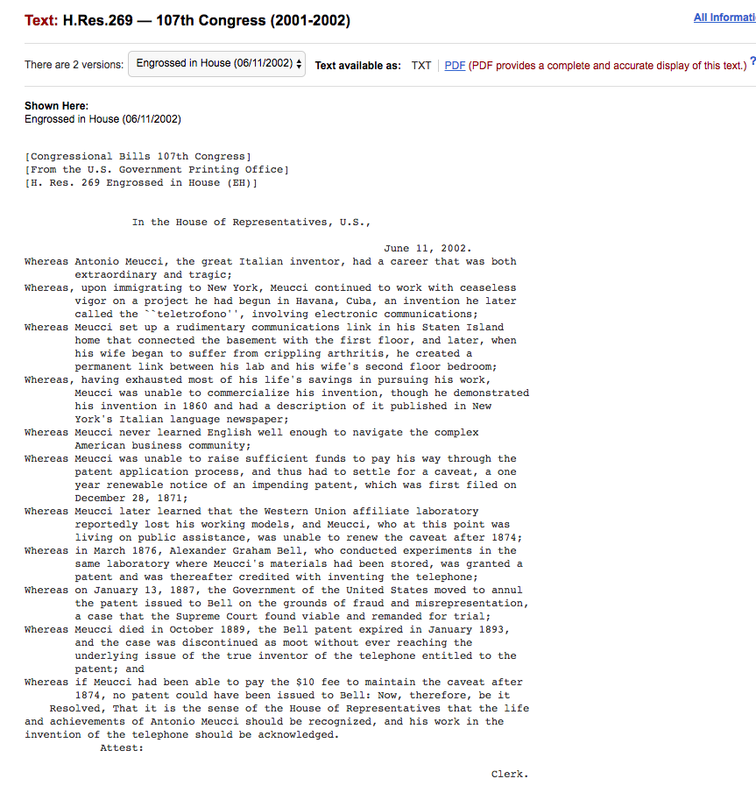 Accessed August 24. http://pdfpiw.uspto.gov/.piw?docid=00174465&PageNum=2&IDKey=26DF1537CC51&HomeUrl=http://patft.uspto.gov/netacgi/nph-Parser?Sect1=PTO1%2526Sect2=HITOFF%2526d=PALL%2526p=1%2526u=%25252Fnetahtml%25252FPTO%25252Fsrchnum.htm%2526r=1%2526f=G%2526l=50%2526s1=0174465.PN.%2526OS=PN/0174465%2526RS=PN/0174465.